The US and the ICC: Towards A Closer Relationship? A number of recent events and statements have brought the relationship between the United States and the ICC back into focus. Most notably, the US was amongst the permanent members of the UN Security Council which agreed to refer Libya to the ICC. This was particularly important because the US voted in favour of Resolution 1970 whereas in the Security Council’s only other referral of a situation to the Court, the referral of Darfur to the ICC in 2005, the US abstained. I haven’t had an opportunity to read her book, but in Fighting for Darfur, Rebecca Hamilton apparently reveals that the Obama administration was largely responsible for preventing the deferral of the ICC’s case against Sudanese President Omar al-Bashir. All of this suggests a relationship that has come a long way from the politically acrimonious position of the US towards the ICC that characterized the early years of the Bush administration. The US-ICC relationship has been historically tumultuous but appears to be comfortably sailing through calmer – and more cooperative – waters. I thought it would be a good time to take a look back at the relationship between the Court and the US to see just how far the relationship has come. The relationship between the Court and the US has moved from active hostility to begrudging acceptance to concerted efforts at positive engagement. While the often uncomfortable and at times hostile approach of the United States appeared to hinder prospects for ICC’s success in the early years of the Court’s existence, there is significant evidence that the ICC has weathered the challenge. The current attitude in Washington is promising. Nevertheless, it is important to temper expectations about relations between the ICC and the US. It remains unlikely that the US will join the Court in the near future, there remain significant political barriers to overcome before the US joins the ICC, and the possibility of realpolitik guiding the decision-making of the US in situations where the Court is involved remains ever-present. Explanations of American hostility towards the ICC have been numerous and divergent. In his venomous article, Courting Danger: What’s Wrong with the International Criminal Court, John Bolton argued that the ICC is contradictory to the constitutional ideals of the US, is an overreaching and unaccountable institution, which America should “isolate it through our diplomacy, in order to prevent it from acquiring any further legitimacy or resources.” Kingsley Moghalu suggests that ‘main street USA’ people are “reflexively opposed to subject U.S. citizens to such a sensitive act of international governance as international criminal justice under any circumstances.” This is echoed by Paul Kahn who maintains that the issue of American opposition to the court is one that is deeper than it simply being against the state’s national interest. Opposition “has little to do with the substantive threat it represents to particular American goals and little to do with a fear of political misuse”. Rather, it’s about the fundamental nature of what it is to be American and the faith of “the rule of law as rule by the popular sovereign.” The explanation of American exceptionalism has been widespread. G. John Ikenberry argued that in the post-Cold War context, the unipolar world, with America as its hegemon, leads to the U.S. to demand special status in, and exemptions from, multilateral institutions and arrangements. The United States “argues that it cannot sign the International Criminal Court treaty because its global security presence makes Americans unusually vulnerable to politically inspired prosecutions.” For his part, William Schabas answers the question of why the ‘US hates the ICC so much’ by asserting: “It’s all about the Security Council.” For Schabas, American ambivalence to the ICC has stemmed from frustrations that it is not subordinate to the UNSC. 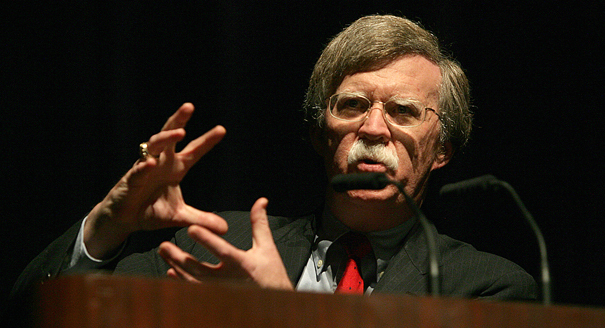 During the early years of George W. Bush administration, the US undertook efforts to undermine and isolate the ICC. In June 2002, the Bush administration took the unprecedented step of ‘unsigning’ the Rome Statute, declaring that “the United States has no legal obligations arising from its signature” of the Statute. That same year the administration adopted the American Service-Members Protection Act, also ominously known as the ‘Hague Invasion Act’, which included provisions to: prevent any American citizens or ‘allied persons’ from being prosecuted by the ICC; prohibit the provision of military aid to states party to the Court with some exceptions including key allies and when providing aid is deemed “important to the national interest of the United States”; and that, should any members of the American armed forces be detained by the ICC, the US president is authorized to use “all means necessary and appropriate” to ensure their release. Further, the US negotiated, often through coercive means, Bilateral Immunity Agreements with some 100 other states, whereby states agreed to ensure that no American citizen would be prosecuted by the ICC while on their territory. Despite these efforts to impair the ICC’s capacity to be an effective, independent and strong institution, the relationship between the US and the ICC has not always been unproductive. 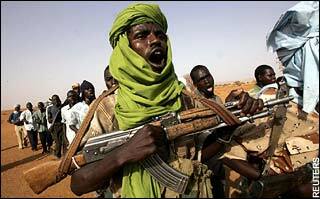 In 2005, the UN Security Council referred the situation in Darfur to the ICC with Resolution 1593. While the Bush administration had preferred and lobbied for the creation of an ad hoc tribunal to investigate crimes in Darfur, the US eventually abstained from the vote on the Resolution, allowing it to pass. The resolution accommodated American exceptionalism by including the assurance that no American officials or personnel could be investigated or prosecuted. Only citizens of nations party to the ICC can be sought by the Court, allowing America to remain beyond prosecution. Furthermore, America agreed to abstain from the Security Council vote. The resolution granted the ICC no funding for its investigation nor promised any future political support, leading Robert Cryer to criticize it as a selective and incomplete reaction to Darfur. However, American abstention was clearly “a move away from the scathing anti-ICC rhetoric that has characterized the contributions of some members of the US government to the debate.” It was a sign that, at least in some circumstances, the US would not stand in the way of the ICC’s ability to function. Anne Patterson, the American deputy ambassador to the UN explained that the U.S. “decided not to oppose the resolution because of the need of the international community to work together in order to end the climate of impunity in Sudan,” remarkably similar to words spoken by the ICC’s proponents. The firm objections and concerns of the US have been further softened with the ascension of the Obama administration to power. Unlike the Darfur referral, the US voted in favour of the resolution referring the situation in Libya to the ICC. 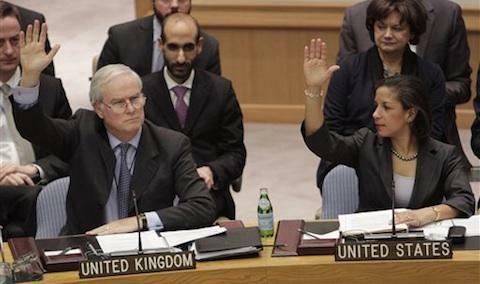 Susan Rice (right) votes at the Security Council. Of course, the above shouldn’t be read as an indication that the US joining the ICC will necessarily occur in the near future. As one senior State Department official has told me, no one should expect the US to become a state party tomorrow. It will take significant domestic political will in the United States to reverse legislation that handcuffs closer American-ICC relations. The US is notoriously inefficient at reversing legislation it passes. The American Service-Members Protection Act thus acts as massive legislative barrier to the US ratifying the Rome Statute. It also seems like that those US politicians – predominantly Republicans – who refuse to allow the trial of Guantanamo detainees to occur on US soil will put up quite the fight against the US joining the ICC. Further, it’s important to remember that if we have witnessed a significant transformation in attitudes towards the ICC from one administration to the next, a return to hostility in future administrations is a real possibility. Lastly, it remains important to question what the US does behind the scenes in situations where the ICC is investigating. Earlier this year, for example, rumours emerged that the US (as well as other Western states) were prepared to “reward” Sudan’s “good behaviour” in allowing a largely (but not entirely) peaceful separation of the south by freezing the ICC’s arrest warrant for a year. This would have been a massive blow to the ICC. Notably, a number of key American diplomats continue to argue for a negotiated settlement with Khartoum which clashes with the Court’s desire to bring al-Bashir to trial. The ICC’s relationship with the United States has been defined by a mixture of open hostility, reluctant acceptance and, now, an apparent genuine effort to engage with the Court. Fostering the current improvement in the relationship between the ICC and the US will be critical for continued rapprochement and ultimately US ratification of the Rome Statute. 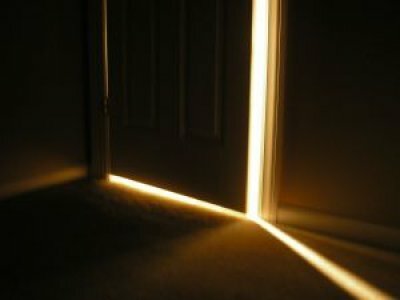 A door that was once firmly shut has been opened, if just a crack. The type of attitude exhibited by the current administration has long been merely a hope for advocates of the Court rather than a reality. It reflects a dramatic improvement in the views of the current US administration to the ICC and the potential for a closer relationship, a co-operative engagement and the possibility of future American ratification of the Rome Statute. This entry was posted in Human Rights, International Criminal Court (ICC), Sudan, Truth and Reconciliation Commissions, UN Security Council, United States. Bookmark the permalink. 5 Responses to The US and the ICC: Towards A Closer Relationship? what an amazing article Mark. it just summarized the story of the U.S and the ICC relationship. in fact, it gives a proper insight into the issue. Many thanks for your kind words Malik!